If you would like an exciting insight into the Contemporary Art scene in South Africa, or Cape Town in particular, then the Cape Town Art Fair is definitely the place to mingle with artists, gallery representatives, auction houses , photographers , publishers and curators. The Fair was on from 25 to 27 October 2013 at The Lookout at the V&A Waterfront and offers an array of contemporary artworks in traditional media: paintings, drawings and sculptures; there are also works in photography, video, print and ceramics on display. The fair is set at a very interesting venue, The Lookout, which offers lovely views of Granger Bay and the opportunity to enjoy a delicious glass of bubbly or wine and gourmet food, Culinary Art, while strolling through the stands of forty galleries representing more than 130 artists . I enjoyed listening to a talk by Andrew Lamprecht who is curating an exhibition “Nelson Mandela in Kimberly” and also got the opportunity to chat to one of Cape Town’s well known artists, Derric van Rensburg. Whether you are a collector, art lover or just curious visitor, you can appreciate why Cape Town , city of design and creativity, has been chosen to host this dynamic event. If you missed the last fair have no fear! I’ve attached the press release for the next Cape Town Art Fair which takes place from February 27 to March 2, 2014. The Cape Town Art Fair takes place at the BMW Pavilion at the V&A Waterfront in Cape Town from February 27 to March 2, 2014, following the huge success of the inaugural Fair this year. Buyers will be able to purchase some of South Africa’s best contemporary art all under one roof in a celebration of some of the country’s top artists and up-and-coming painters, sculptors, photographers and performance artists. 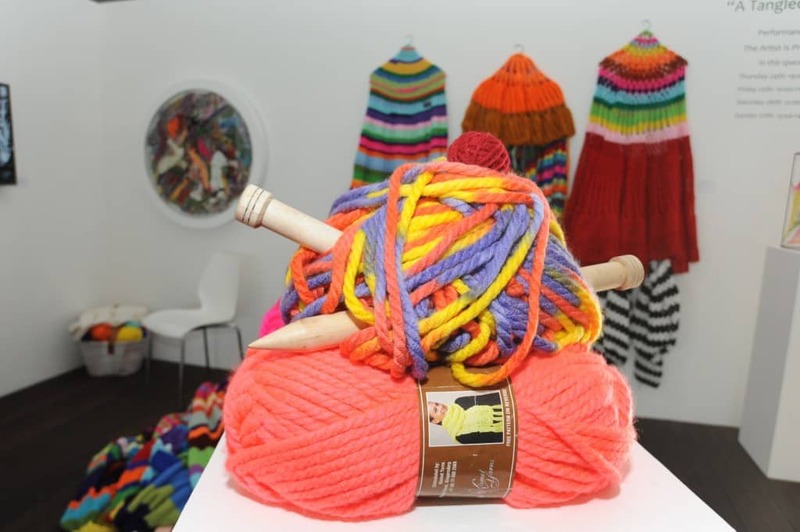 The Cape Town Art Fair will be held during this important time in Cape Town’s art and design calendar in the year that the Mother City has been named the World Design Capital of 2014. World Design Capital (WDC) is a biannual honour, awarded by the International Council for Societies of Industrial Design, to cities across the globe to show their commitment to using design as a social, cultural and economic development tool. Cape Town is the design training hub of the country. It is the headquarters of most of the creative industry and the City of Cape Town has received many awards celebrating excellent design. The 2014 award year is an opportunity for Cape Town to showcase accomplishments in design and urban policy. The Cape Town Art Fair will once again showcase an exhilarating diversity of work representative of the richness, promise and investment value of art coming out of South Africa. At the same time both the Design Indaba expo and conference will be hosted at the CTICC and Southern Guild will be hosting their exhibition of at The Lookout V&A Waterfront. The Cape Town Art Fair is held under the auspices of global exhibition giant, Fiera Milano with its acclaimed art fairs MiArt Italy and Art International Istanbul. Exhibitors from the Cape Town Art Fair are invited to take part in these fairs. More than 130 artists and 40 leading galleries took part in the inaugural Fair with many of the exhibitors delighted with both the attendance and sales. Application forms to exhibit are now available on from www.artfaircapetown.co.za.